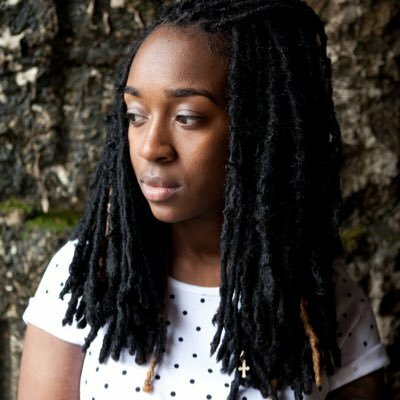 I corresponded with Jackie Hill Perry, poet and hip-hop artist (check out her album The Art of Joy), about what’s on her nightstand, books she regularly re-reads, what she’s learning about life and faith, and more. The Pursuit of Holiness by Jerry Bridges. This book has a way of refocusing me. It reminds me of the great necessity of holiness, and it often reveals areas of sin in my heart that have either gone unnoticed or unmortified. This book will always remain in constant rotation as I’m consistently in need of its convicting yet gracious gems. What books have most profoundly shaped how you view gospel ministry? I’m still learning the joys and difficulties of my life being all but static or still, to say the least. Every season is new and different, yet nuanced at its core. Through this, it’s as if there’s always something new to learn about Christ. A new way to trust and believe his Word. A new way to seek him in prayer and learn from his church. Knowing there are new mercies every morning has been an anchoring source of peace lately. Editors’ note: Join us next month for our 2016 National Women’s Conference, June 16 to 18 in Indianapolis, where Jackie Hill Perry will be speaking. Also mark your calender for our 2017 National Conference, April 3 to 5 in Indianapolis, where Perry will be speaking as well. Also in the On My Shelf series: Bruce Ashford, Jonathan Leeman, Megan Hill, Marvin Olasky, David Wells, John Frame, Rod Dreher, James K. A. Smith, Randy Alcorn, Tom Schreiner, Trillia Newbell, Jen Wilkin, Joe Carter, Timothy George, Tim Keller, Bryan Chapell, Lauren Chandler, Mike Cosper, Russell Moore, Jared Wilson, Kathy Keller, J. D. Greear, Kevin DeYoung, Kathleen Nielson, Thabiti Anyabwile, Elyse Fitzpatrick, Collin Hansen, Fred Sanders, Rosaria Butterfield, Nancy Guthrie, and Matt Chandler.